Q. Gentlemen, a question to you all to start with: what are your impressions of the circuit so far; your feelings about being back in America. What it’s like to be back here? KR: I’ve only seen the video from when they did the demo run here, but I haven’t seen the circuit itself. I will see tomorrow how it goes. Q. You won’t even walk the circuit this afternoon? KR: I don’t know yet. I’ll have to see. KR: Well, I mean, if I found a golf cart or something. 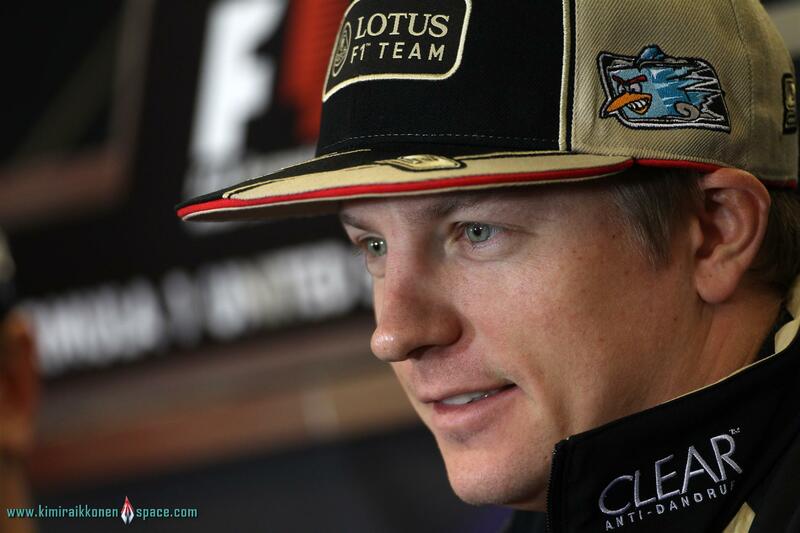 Q. Kimi, winner of the last grand prix, what has changed in terms of your feeling coming to a grand prix. Has anything changed? KR: Not really. Of course the team is happy, I’m happy that we finally win but it’s a new place, new race again and we try to do the best. I don’t expect we suddenly going to start winning or being in front. Probably it’s going to be very similar to where we’ve been in the last races in top five and then go from there and see what happens. Q. Have they all brought their T-shirts with them? KR: I don’t know, I just arrived here. I don’t know yet. Q. (Pierre van Vliet – F1i Magazine) Lewis and Kimi: if you have a winning package this weekend – if after qualifying you realise you have a chance, what can you do not to disturb the World Championship battle between these two? LH: Go for it Kimi, I would love to hear what you have to say. KR: We try to do the best that we can as a team in the race, and wherever we end up, if we take some points out of either of them, that’s racing, that’s life. We don’t try to disturb anything, we’re just doing our normal race and see what happens. I’m not looking who is there or if I’m taking points from them or somebody else. We just try to win, if not, score as much as we can. LH: It was a good answer. Yeah. We have no means to try and get in the way of anyone, but we want to beat them, we’re still fighting for position in the championship, even though we’re not fighting for the top position so we just have to focus on our job. Kimi did a great job in the last race. I think we were very strong as well, hopefully we will have less reliability issues this weekend and hopefully we can compete right at the front with all these guys. Q. (Carlos Miguel – La Gaceta) Question for Kimi, Pedro, Lewis and Segio; between Sebastian and Fernando, who would be your bet for the championship? KR: I think whoever scores most points will get it and deserves it. Right now Sebastian is in a bit of a stronger position but we’ve seen before many times that you have one bad race and things are completely different.